For multi-talented beauty and functionality, CortinaStone has it all. A subtle checker board effect can be realized when alternating tiles are installed with a quarter turn. Or accent with Solids and Feature Strips to enhance the design flexibility even more dramatically. 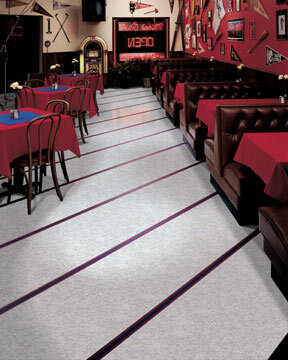 Click here for more information about Azrock VCT Tile.